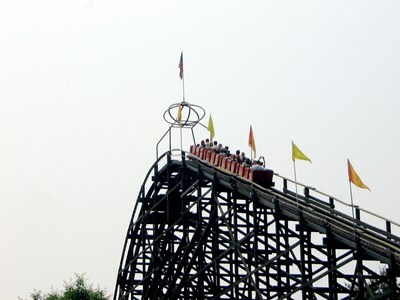 Knoebels Amusement Resort is a family-owned and -operated amusement park, picnic grove and campground in Elysburg, Pennsylvania. Opened in 1926, the park has more than 57 rides, free admission, two wooden roller coasters, a 1913 carousel and a haunted house dark ride that was featured on the Discovery Channel. The park and its rides have won awards from organizations such as Amusement Today, American Coaster Enthusiasts and The International Association of Amusement Parks and Attractions. This description uses material from the Wikipedia article on Knoebels Amusement Resort and is licensed under the Creative Commons Attribution-ShareAlike License (view authors).